Rev. Laura Thompson is a NC native from Kinston, other wise known as “down East” – the land of vinegar barbeque, back porches, and Pepsi Cola. She graduated with a BA in Religion from Mount Olive College and from Union Presbyterian Seminary in Richmond with a Masters of Divinity. 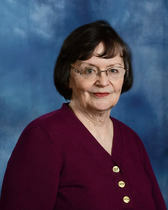 She is an ordained elder in the North Carolina Conference of the United Methodist Church. Prior to moving to Durham, Laura served as Director of Christian Education for two years at Swansboro UMC, Associate Pastor at Centenary UMC (New Bern) for a year, and two years as a solo pastor at Candor UMC. In her free time, Laura enjoys being outdoors, running, reading, visiting family and friends, playing sports, and watching NC State football. North Carolina native and grew up in Moore County. He attended East Carolina University and Westminster Choir College where he earned a BM in Voice and MM in Voice. Aaron has had a varied career, working as a professional choir singer with the New York Philharmonic Orchestra, as a member of the chorus with the Opera Company of Philadelphia, and as a vocal soloist and teacher. Throughout his life and career church music has played an important role.